Conduct simulations in DNA fingerprinting used in forensics, paternity testing, reunification of lost children with their families, and identifications of victims in accidents and casualties of war. 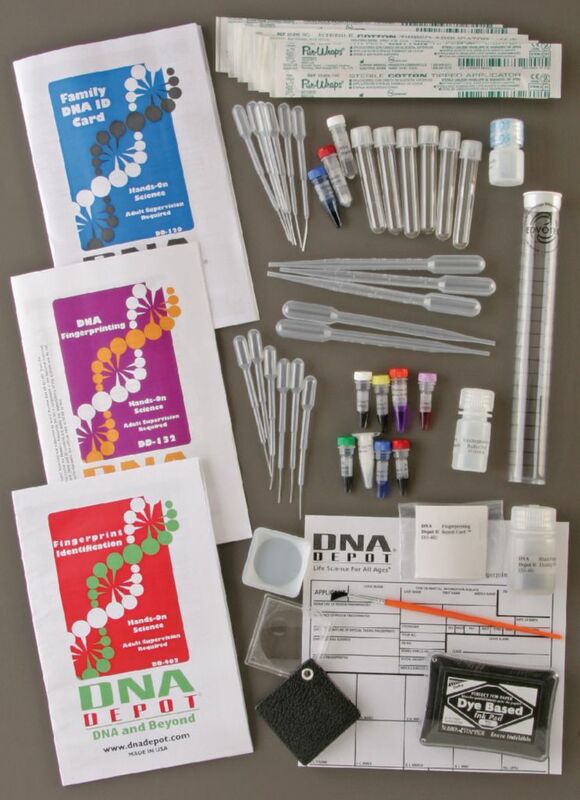 The discovery-based experiments in this kit introduce students to the methods and technology of DNA fingerprinting. Ordering information: Materials required but not provided are electrophoresis equipment.